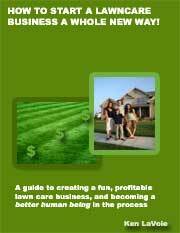 Lawn Mowing Business - What are Lawn Care Business Customers Looking for? To be successful with your lawn care marketing you first have to know what customers are looking for in a lawn care service. It is hard to know exactly what a customer will want as consumers are often irrational and make decisions based on their emotions. However, lawn care customers are not always that hard to figure out if you really try to get inside their heads. Let's look at some of the obvious factors that they will be considering before they sign up for your services. Price is one of the obvious factors that business owners imagine that their customers will take into account. However, price usually plays a smaller part in a customers buying decision than you would expect. They often have no idea of what a fair price is and will make their judgement based on only two or three estimates. 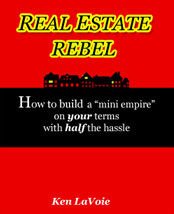 Customers will want an easy introduction to your business. They want to call the number in your ad, have somebody answer the phone the first time and have a friendly person organize an appointment for somebody to come and give them a free quote. If you make this process too difficult for them they will call the next number in The Yellow Pages. Some customers may be responsive to your branding or advertising. They might notice something about your company that makes it stand out from the rest and offers exactly what they were looking for. There may be something in one of your ads that is simply magical in the customer's mind. They may have determined that your business is the right one for them the moment that they laid their eyes on it. For some customers it will come down to the services that you offer. 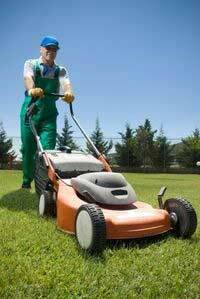 They may be looking for a company that does fertilizing or lawn aeration in addition to lawn mowing. You may be offering the right combination of services that they need at the right time. Other prospects will be looking at your reputation. They may want references from some of your customers or they may have already heard good things about you through friends. A few customers will want to know how old your business is as they perceive older businesses to be better established and more reliable. Some prospective customers like money back or satisfaction guarantees and will hold you to your word if you don't live up to the service level that you promised. Other potential clients will be interested to know if you have insurance and are thus able to have them reimbursed for any substantial property damage that may result from accidents or your negligence. Other shoppers will respond strongly to a 'face to face' visit from you or a representative from your company. They may want to know more about whom they are dealing with. They may prefer to support small, local, family run companies instead of large franchises. They may have other concerns such as the environment. Some will simply be drawn to a charming salesperson and will make their decision based on the personal connection that they had with them. This article covers some general concerns that customers may have but there could be other important issues in your community that this article has not covered. Every consumer has different emotional triggers when it comes to shopping around for a service provider. If you want to get your lawn mowing business marketing started off right you need to understand some of the things that your customers are looking for before you can attempt to market to them effectively.